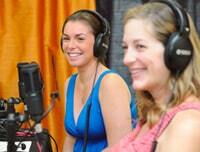 Preggie Pals is a weekly podcast and online resource for expecting moms and dads and those trying to become pregnant. Today’s expecting mothers are much more proactive in their approach to childbirth preparation, and that’s one reason why Hypnobabies has become so popular. What exactly is Hypnobabies and how does it differ from Hypnobirthing? What does it take to become successful in using this technique? Plus, is it really possible to have a “pain-free” birth? Introducing Cassie Freisen, Hypno-Mom!